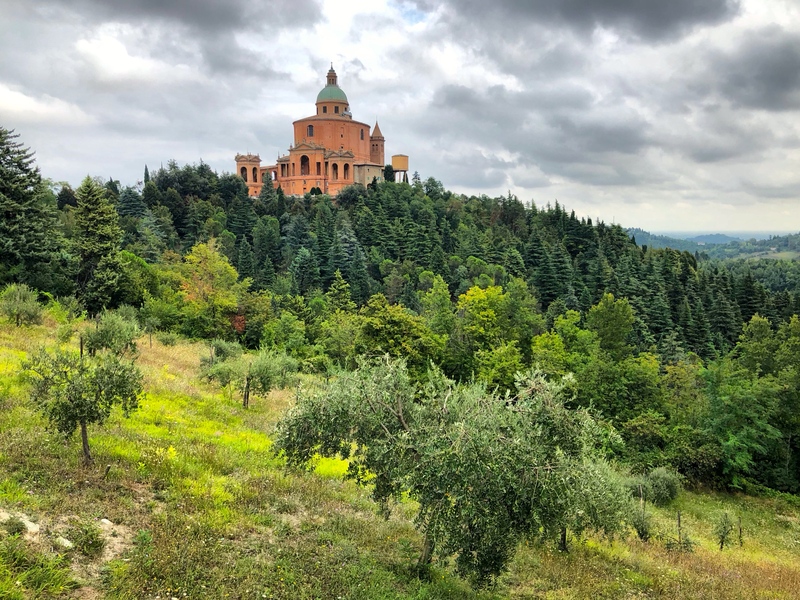 Before this trip, if you’d asked me if I would like to walk for 8 days from Bologna to Florence just for fun – I might have thought you were a little bit crazy. But the Path of Gods Italy was an absolutely incredible experience in the end, and one I’m very glad I said yes to. 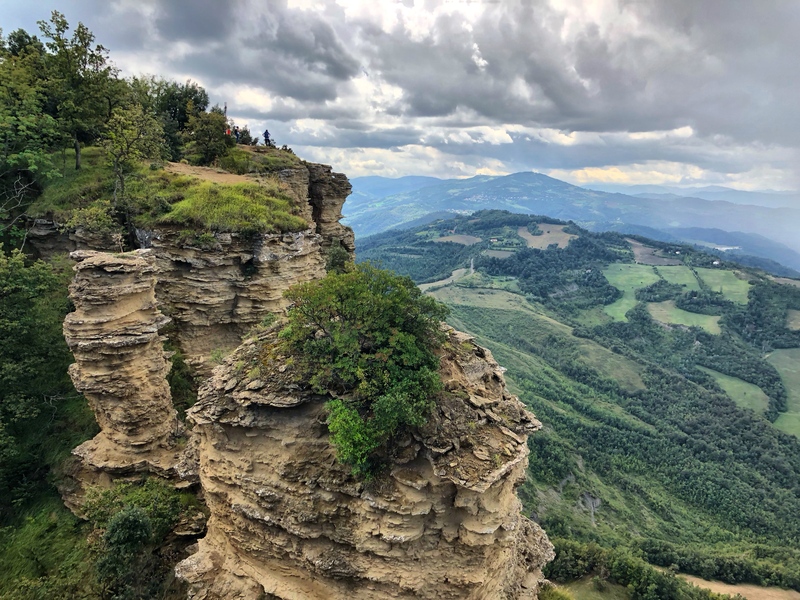 It’s an old ancient road that has been around for thousands of years connecting the regions of Emilia Romagna to Tuscany along a 130km long hiking trail, and its a beautiful way to spend just over a week. Funnily enough, the journey connecting the two cities is just under 35 minutes travelling time by high-speed rail. You’d think people must be crazy to spend a week hiking this distance, but there is a good reason why you should, and I will reveal why within this blog post. Via Degli Dei Was created in the late 80s by a group of Bolognese hikers. The path mainly traces the ancient tracks where Romans used to roam pass and crosses some precious large paving-stones known as basoli. 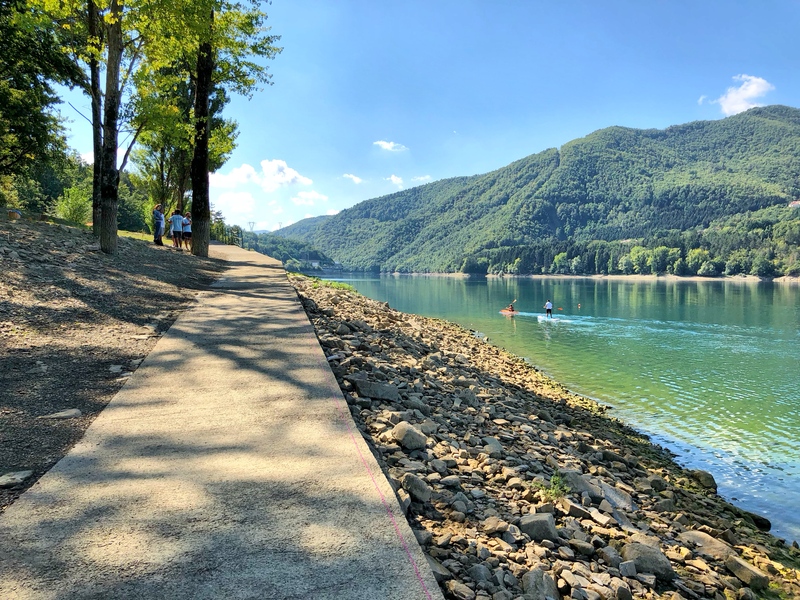 The path has always been popular amongst many Italians from both regions, and in recent years the route has slowly been opening up to international visitors. A few years ago an investment strategy was put into place, and since then easy-to-follow signposts have been installed to help international hikers navigate their way along the trail. You can also pay a visit to the Bologna Welcome visitor centre, which is located in the stunning Piazza Maggiore. 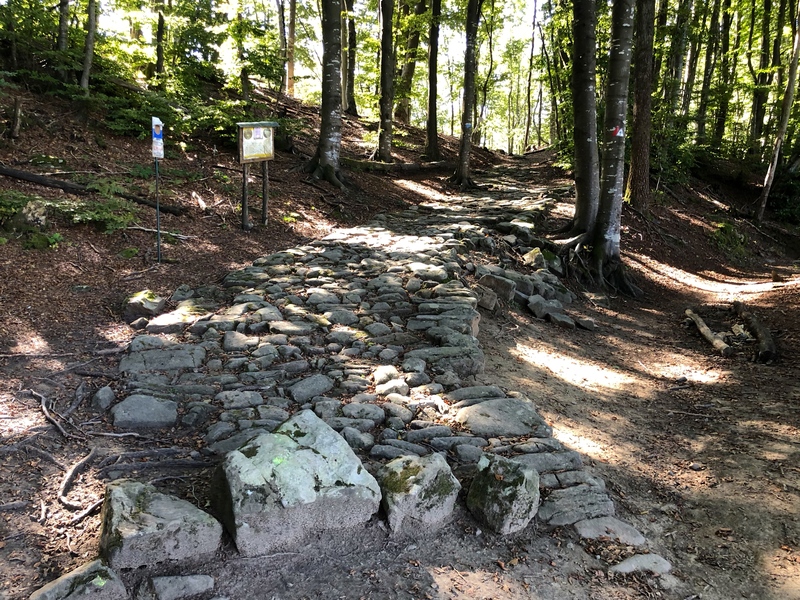 Here you can pay €13.00 for a Path of Gods Italy map, information pack, and a Pilgrim permit to get you started along the path. Once you’ve picked up your stamp booklet, you can visit all the local guesthouses along the Path of Gods and fill in your stamp book. The 130km long Path of Gods is usually completed within 5 days, but you can break up many of the days to extend your visit depending on how much time you have to spare. 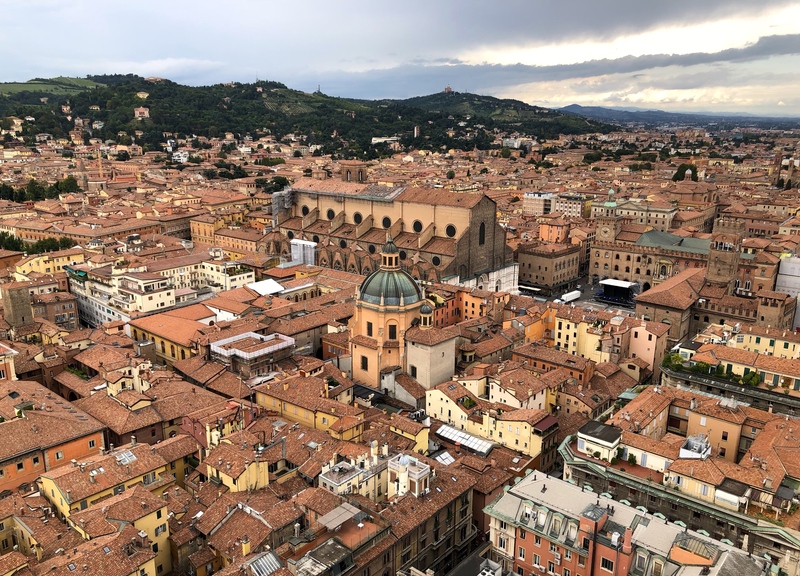 I would recommend arriving in Bologna ahead of time to pick up last minute supplies and essentials and enjoy the city for a few days, maybe over a weekend before you get started on the trail. Be sure on your first day to get in some practice steps, and head up to the top of The Two Towers to get a stunning overview of the city from above, and see the first days of your trail along the Path of Gods from a distance. 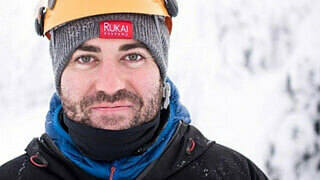 I walked along the path to help create a useful video for Travel Dudes and Iambassador, creating a more in-depth guide you can follow each day. So be sure to check all of that useful information out if you’re researching the Via Degli Dei path to do it yourself. This blog post is all about my personal experience along the Path of Gods, and I hope you’re excited to take part yourself – it’s really a wonderful adventure holiday. The first day is an easy one – it’s a wonderful introduction to the Path of Gods and a great way to see a unique part of Bologna. Head along the Via Saragozza – an almost 5km network of 666 archways that line the city of Bologna all the way up to San Luca at the top. The archways were created to help support student housing which was needed to help the growing population in the city, also allowing the public to still use the walkways around the city. Many locals like to run up to the top of the hill on the weekend for exercise. The second day along the Path of Gods Italy will take you to the top of Mount Adonis – giving you a stunning overview of the trail ahead and the mountain itself, which has been formed into an unusual shape due to wind erosion making the spot very popular amongst the climbing community. You don’t have to hike the whole Path of Gods, why not break up one of the days and grab a rental mountain bike? 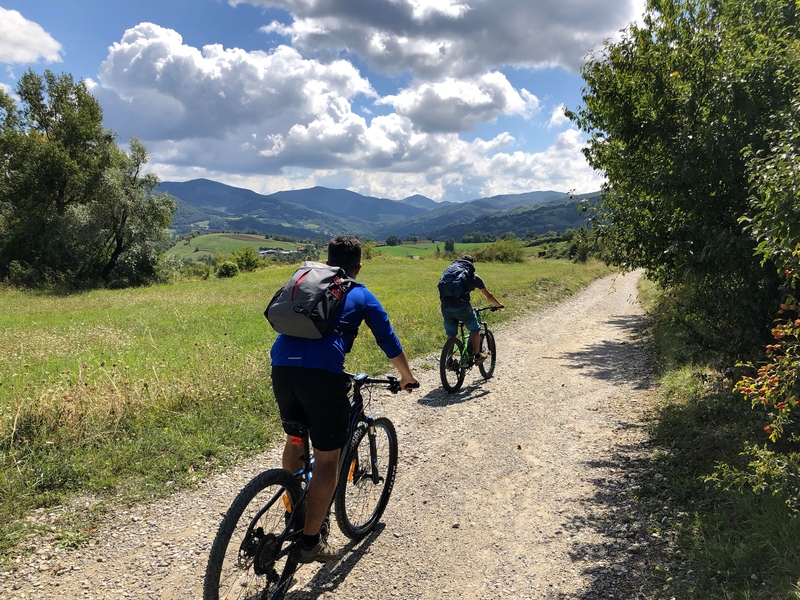 The third day along the route happens to be the best day to jump on a bike and enjoy around 6km of cycling along a downhill section practically built for bikes – this feels wonderful after a few days of hiking. Be sure to jazz up your trip and add this fun cycling element. Madonna dei Fornelli is within close driving distance to Lake Suviana. Why not hang up your hiking boots for the day and relax by the lake, grab some sun and go for a spot of swimming. 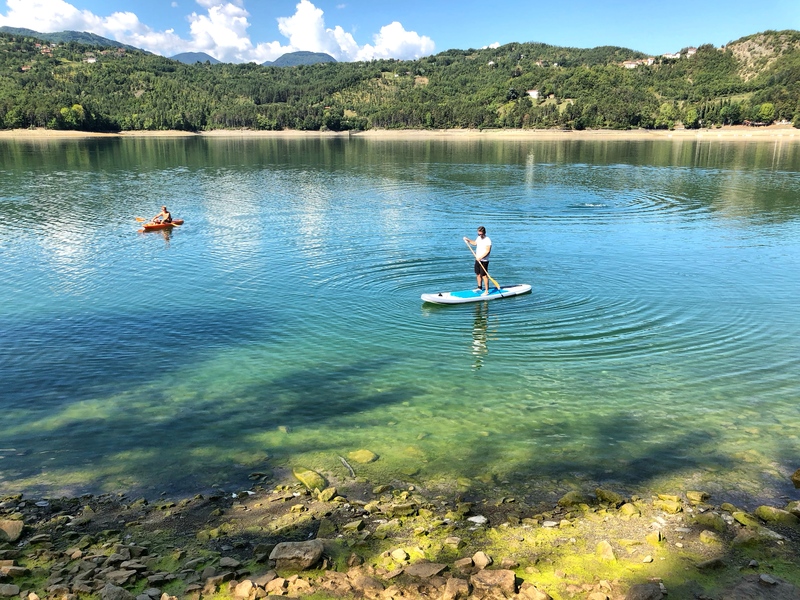 Sailing, kayaking, windsurfing and standup paddle boarding are all available for rent at the lake, so why not try out some fun watersports and take a break from the trail. 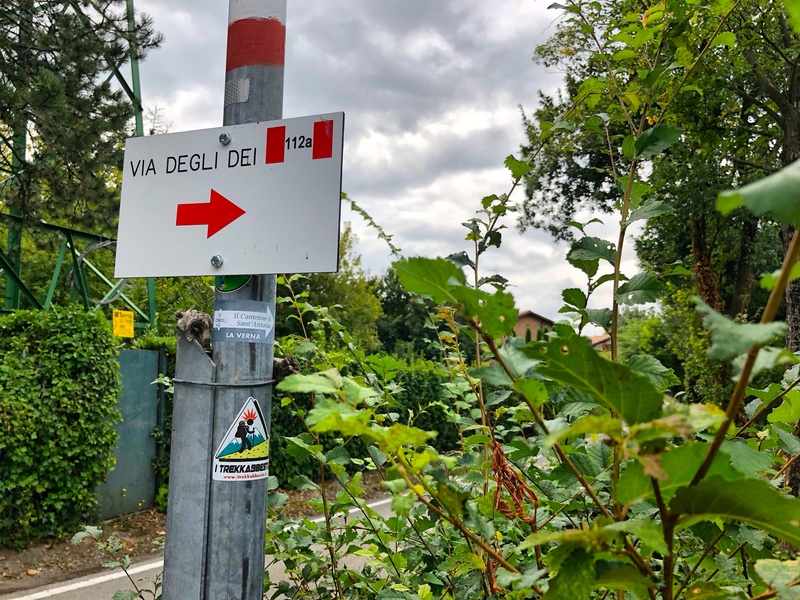 During some sections of the Path of Gods, you will walk along old Roman roads that have been around for thousands of years connecting Bologna to Florence. Today you will pass by most of the unearthed Roman roads – it’s pretty cool to walk along the paths just as the Romans did back in the day. Parts of the Flaminia Military (Roman path) was discovered in the 70s by Cesare Agostini and Franco Santi who found an old Roman coin along the path and started to dig. They soon discovered the Roman roads and started to unearth parts of the path over the course of 20 years. 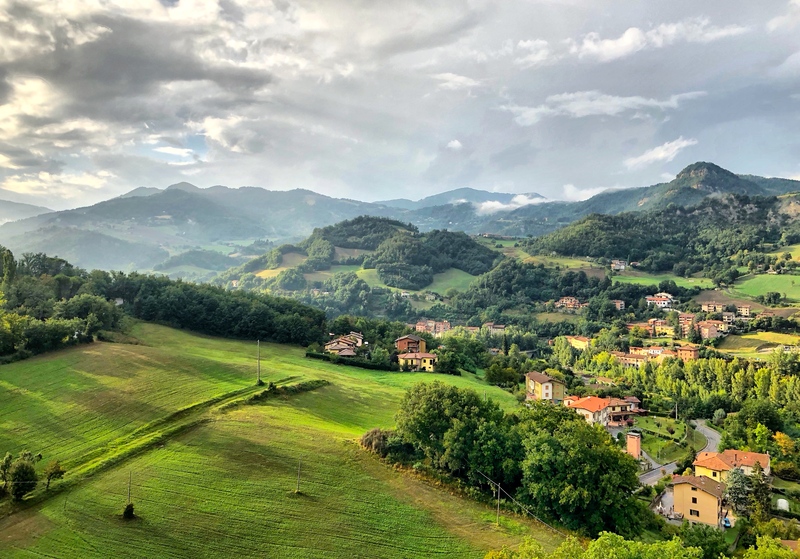 Todays section of the path will take you across two regions of Italy from Emilia Romagna into Tuscany, and you will start to notice a change in the landscape as well as the food, wine and culture. This is one of the things that makes this path so special, the connection of the two regions. Also, you will walk past a cheese factory called Società Agraria Bacciotti which is a unique type of cheese from the region made from sheep’s milk. Be sure to stop in and say hello, they’re very inviting and prepare a delicious sandwich for lunch. The cheese is worth hiking for alone! This can be the hardest day, and it also happens to be the longest. Enjoy the walk, take in the views and enjoy the different style of the Tuscany scenary. Day eight: Finally, you arrive at Florence. 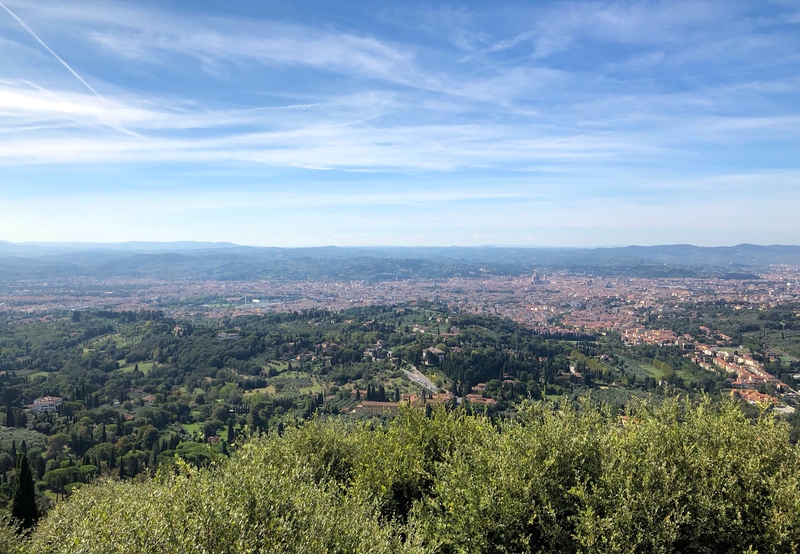 The final day along the Path of Gods is mostly downhill, and the trail ends at Fiesole – a perfect viewing point to see all of Florence from a distance. It’s a perfect spot to end your epic adventure before you jump onto that high-speed train back to Bologna. Nice work, take a moment to enjoy the view and relax after a long day’s hike. Thank you for reading all about my hiking adventure along the path of Gods Italy. 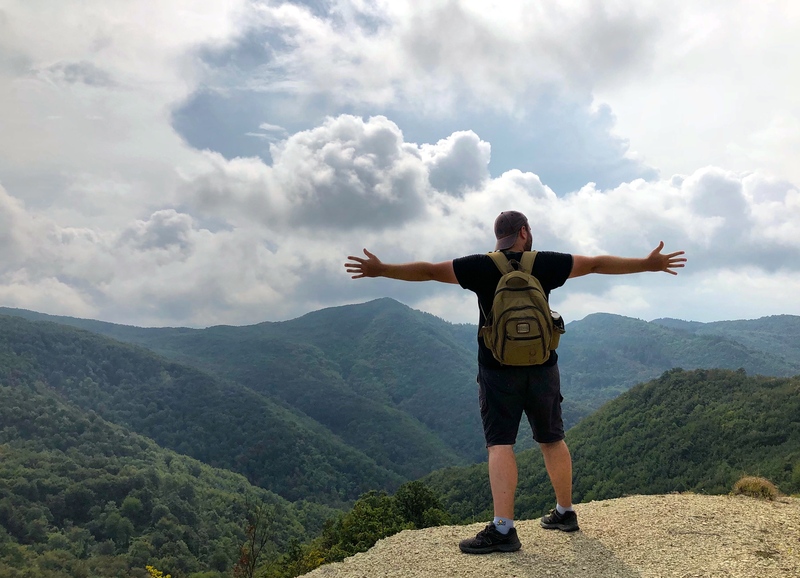 I hope you’ve enjoyed my quick glimpse into the Path of Gods Italy, it was an epic week and a great way to take life into the slow lane for a few days, as well as enjoy the surrounding nature in Italy that connects Bologna to Florence. Sure you can grab the train, but taking the time to enjoy the regional food and taking in incredible views and breathtaking nature is time well spent in my book! 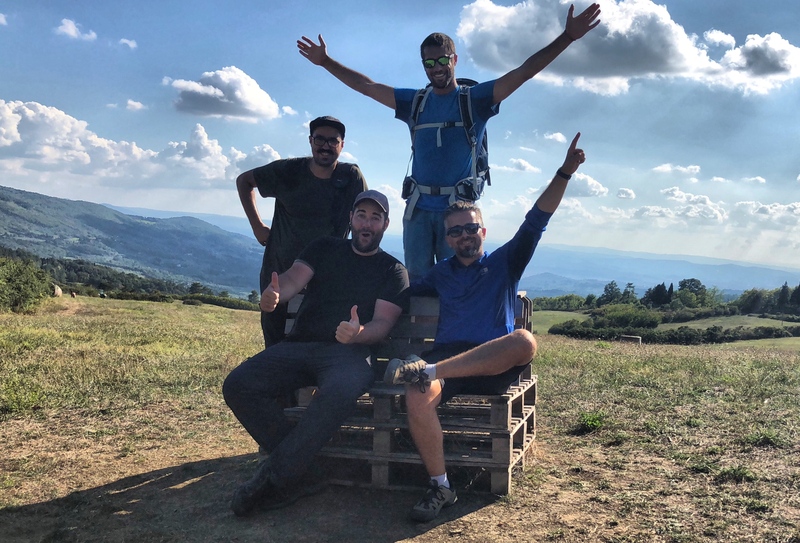 Exploring this route will open your up eyes to local hospitality too – be sure to check out the Travel Dudes Hiking The Path of Gods, Italy article for my recommended guest houses you should stay at. Do let me know how you get on along the trail. 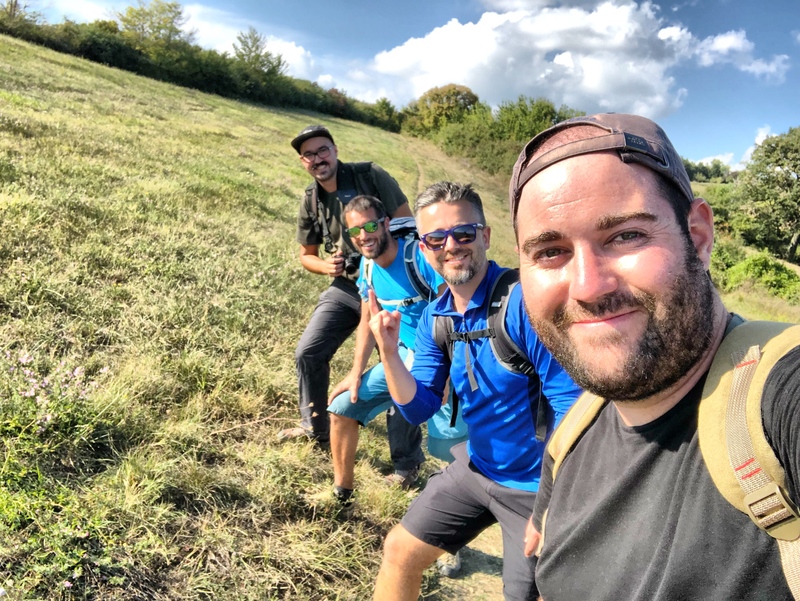 Happy hiking around Italy!